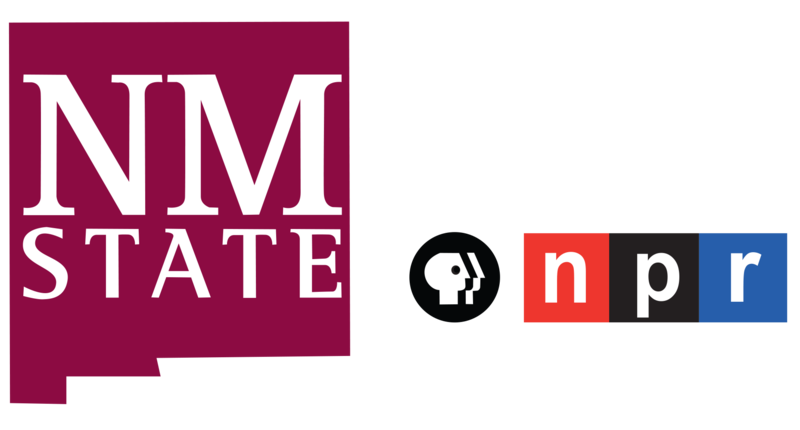 An interview with Dr. Cornell H. Menking, NMSU International and Border Programs Associate Provost and Associate Professor. 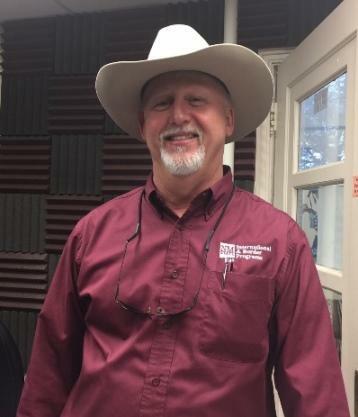 Dr. Cornell Menking at KRWG FM studios. Las Cruces, NM - On this edition of PUENTES, bridges to the community, host Emily Guerra meets with New Mexico State University International and Border Programs Associate Provost and Associate professor, Dr. Cornell H. Menking. 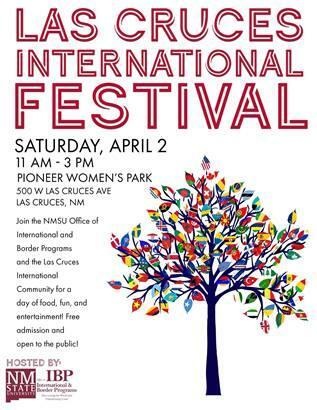 It’s that time of year again for our local and international people in the community to share and experience different cultures from across the globe at the Las Cruces International Festival. A completely new outdoor venue will provide more opportunities for food vendors, entertainment, dance and more at Pioneer Woman’s Park, 500 West Las Cruces Avenue. The Festival will be held on Saturday, April 2nd, from 11 a.m. to 3 p.m. Admission is free and open to the public. Participating international students will be dressed in their native fashions and will demonstrate their cultural artifacts and more. Student groups and community members who would like to participate, please email the NMSU Office of International and Border Programs at: isss@nmsu.edu or ibp@nmsu.edu; more information is also available on Facebook, or by calling the international student and scholar services office at 575-646-2017.